An introductory bundle containing our biodegradable 1tr wash, a concentrated refill plus our amazing biodegradable protect. Looking good. If you purchase this product you will earn 195 Reward Points! Worth £0.98! Many modern composite bikes have surfaces which can be damaged by traditional solvent based cleaners. 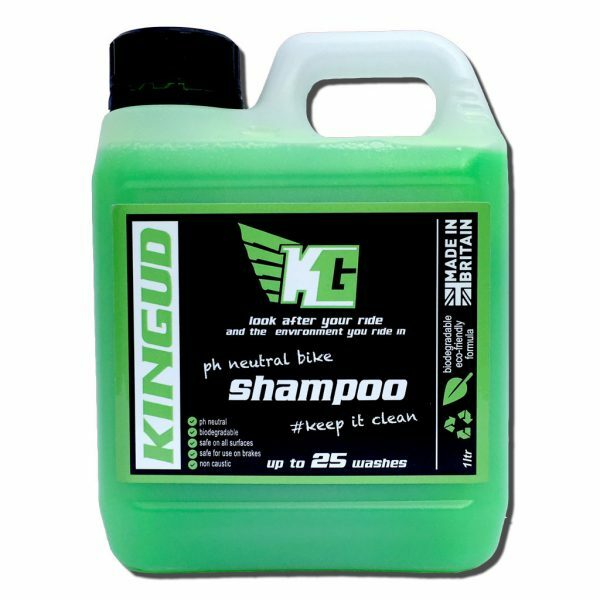 Kingud biodegradable bike cleaner is a water based product that lifts mud, dirt, salt, brake dust, oil, and insect remains quickly and safely from wet or dry surfaces – use it on your brakes too – always rinse thoroughly. 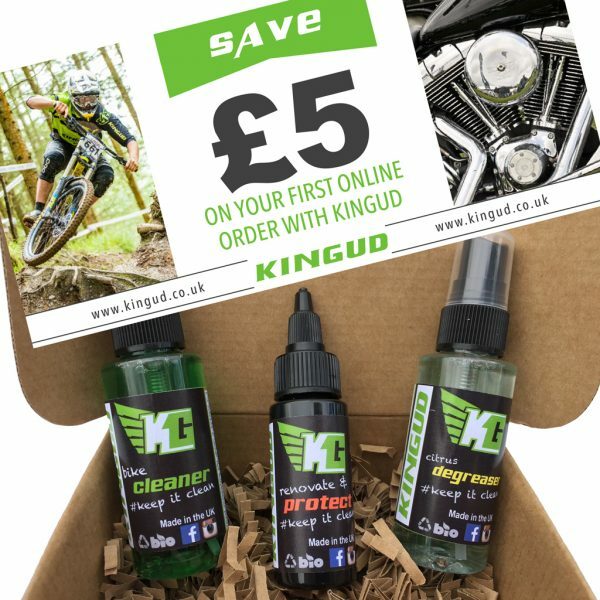 Kingud multi-surface cleaner for bikes will help keep your favourite ride in pristine condition. Kingud “Protect & Renovate” (yep, you guessed it, biodegradable) contains NO silicon. If you are looking for a deep, lustrous finish for your ride then only a Kingud product will do. Try it on your frame, anodised parts, plastics, carbon fibre – you will be amazed by the results this adaptive finish can deliver, matt, silk, it brings out the best in them all.